Home › Chicago Vol. 4, Shirt 26: "Roar"
Chicago Vol. 4, Shirt 26: "Roar"
Available EXCLUSIVELY ONLINE through December 23rd 26th, then it's gone! $8* from every sale will be donated to Lucy and Winnie Ryan. This product is not affiliated with, endorsed, or sponsored by the Chicago Bears. 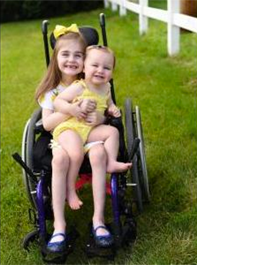 Lucy (age 6) and Winnie (age one) are sisters both battling an extremely rare mitochondrial disease which causes their cells to process energy differently than ours. Their cells do not produce the energy that they should. Lucy is now blind and has a very unsteady gait due to ataxia (lack of coordination and muscle movements). She uses a wheelchair. There is no cure for this condition; the goal is to delay its progression and improve strength. Lucy has undergone countless tests, hospital stays, doctors appointments, physical therapy, speech therapy, etc. The financial and emotional toll this is taking on Kevin and Maura Ryan's family is tremendous. We want to help! Please consider a shirt purchase or donation to their online fundraiser. 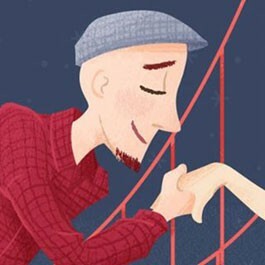 Dane Snyder is a professional designer and illustrator residing in Napa Valley with his incredible wife Kristen. After spending the first 10 years of his career as a Graphic Designer, he now works as a Web Developer and Freelance Illustrator. Dane and Kristen have multiple family members facing difficult battles with various diseases, which is the reason for their strong passion in giving, serving and supporting those facing such challenges. During his career, Dane has worked with many non-profits, large corporations and professional athletes.